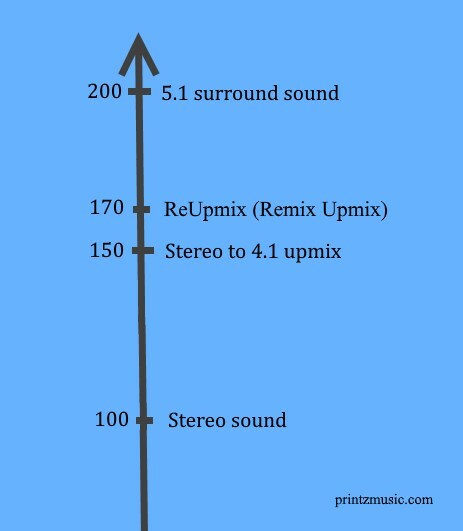 ReUpmix (Remix Upmix) from stereo tracks to 4.1 surroundsound. 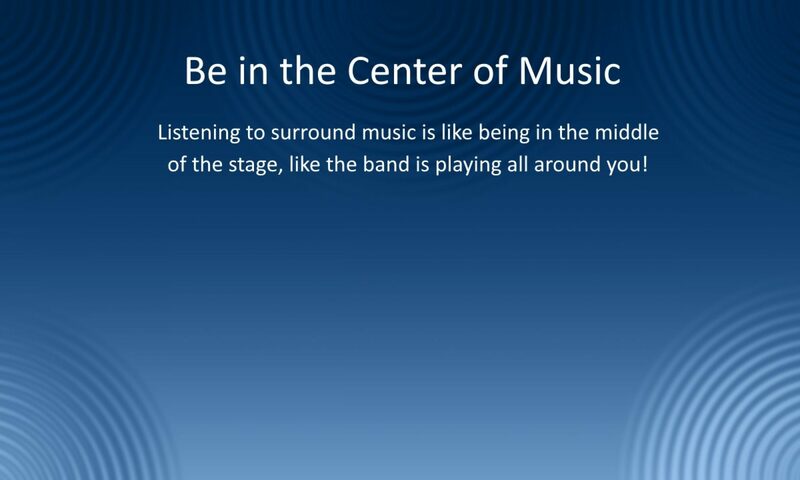 ReUpmix sounds better than normal steady stereo to 4.1 upmix as long you are in the optimal center between your surround speakers. 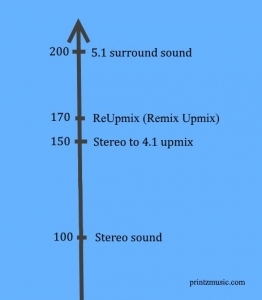 ReUpmix let the stereo track dance around close to the center of the 4.1 mix. It takes some work to make a good ReUpmix, but is worth it for numbers without the original instrument and vocals tracks for making a proper surroundmix. Here is a ReUpmix sampler of numbers without the original instrument/vocals tracks for making a proper surroundmix. Printz Music can give a hand making ReUpmixes of numbers without the original instrument and vocals tracks for making a proper surroundmix. Stereo upmix to 5.1 can give some phase problems especially with snare drums; 5.1 upmix is like scraping butter over too much bread. 4.1 upmixes works better.